A few months ago, I highlighted an erratum from the Springer Handbook of Global Navigation Satellite Systems. The chapter on Differential Positioning accused myself and my colleagues at NRCan of making false claims about the applicability of our new approach to GLONASS ambiguity resolution. Contacting the editors did not lead to any hope of having this issue promptly resolved, so we decided that a follow-up paper on this topic was in order to better clarify the intricacies of our approach. I have recently got my hands on a copy of the Springer Handbook of Global Navigation Satellite Systems, edited by Peter Teunissen and Oliver Montenbruck. I am quite impressed with the list of contributing authors, with many experts on GNSS sharing their knowledge on a wide variety of topics contained in 41 chapters. While I encourage anyone interested in learning more about GNSS to order a copy of this book, I also want to point out an erratum related to GLONASS RTK processing. 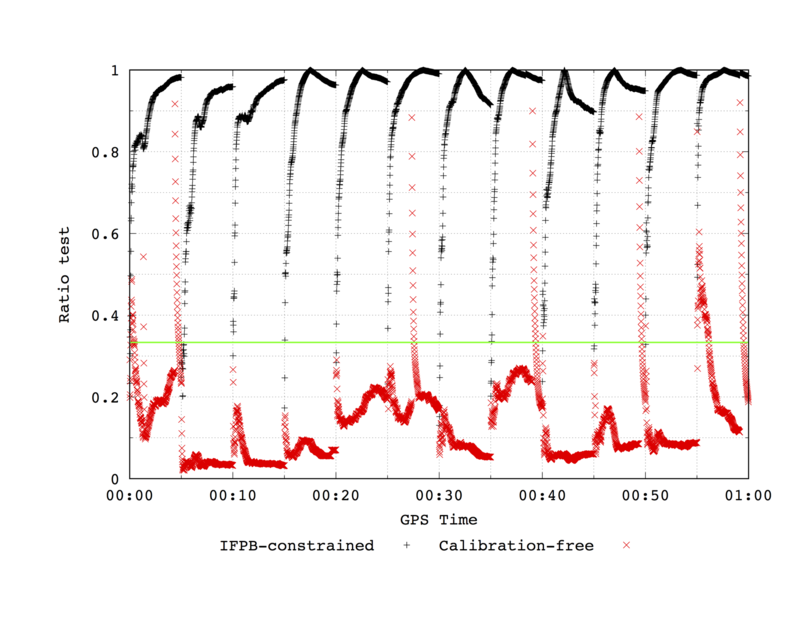 Processing of GLONASS data has always been more complex than GPS due to frequency division multiple access (FDMA). 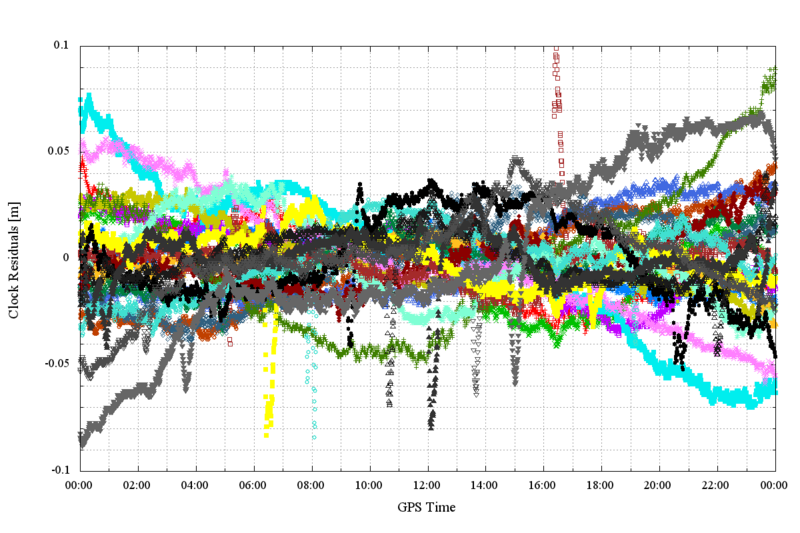 As a consequence of inter-frequency code biases, satellite clock corrections from different analysis centers are often offset by a few nanoseconds. Since accounting for such offsets is not really problematic, why has the IGS never produced a GLONASS clock combination? From personal experience, I think that I know the answer to this question and I agree with the IGS decision. A couple of months ago, researchers from Wuhan University published a paper entitled “A review on the inter-frequency biases of GLONASS carrier-phase data,” aiming at clarifying distinctions between inter-frequency phase biases (IFPBs) and differential code-phase biases (DCPBs). While the paper offers good descriptions and a detailed analysis, I thought I might share a few additional insights. 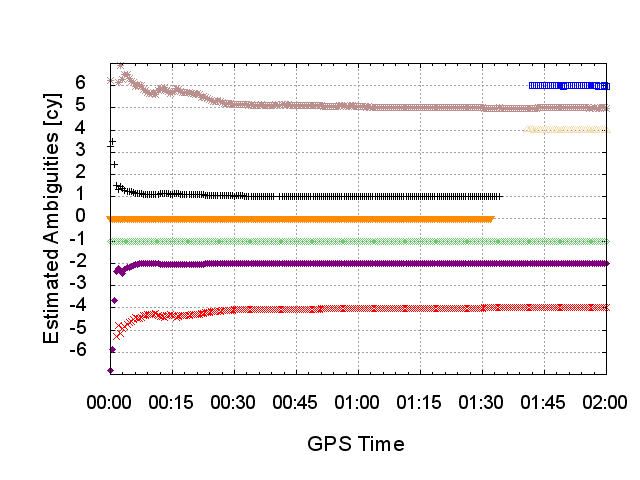 It is now well-understood that a misalignment between carrier and code measurements within a GNSS receiver causes an apparent inter-frequency bias in GLONASS carrier-phase observations. Receiver-dependent calibration values are typically used to reduce this error source and a constrained parameter can be added to the filter to account for residual effects. In this post, I share a few additional insights on an approach I developed a few years ago to avoid such calibration.